Sally has held a number of senior management posts at the BBC, including Commercial Channels Manager, Channel Development Executive and Commissioning Editor. As a Producer, she worked on many flagship BBC programme strands including Omnibus, Arena and The Late Show and launched a number of returning series for the BBC including One Foot in the Past and House Detectives. She has a Glenfiddich Award for Arena Food Night and was shortlisted for a CRE Award for Black and White in Colour- A History of Race on TV. Prior to joining the BBC, Sally worked at TVam. She has worked with Sir Michael Parkinson, Sir David Frost, Clive James, Kirsty Wark and Dan Cruikshank. Sally has made programmes for the BBC, UKTV, ITV, Channel 4, History and HBO. She has been awarded the Spinetto International Prize for Human Ecology for the documentary Animate Earth. 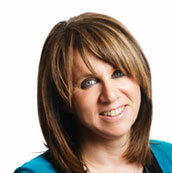 Sally is also a freelance journalist and psychotherapist.